In my previous post about my trip to Cebu for the Sinulog Festival, I mentioned that it was a work trip. I and my office mates were booked at a relatively new hotel, the Quest Hotel Cebu (Quest Hotel & Conference Center Cebu). I've been to Cebu City for a number of times and had been booked at different hotels each time. 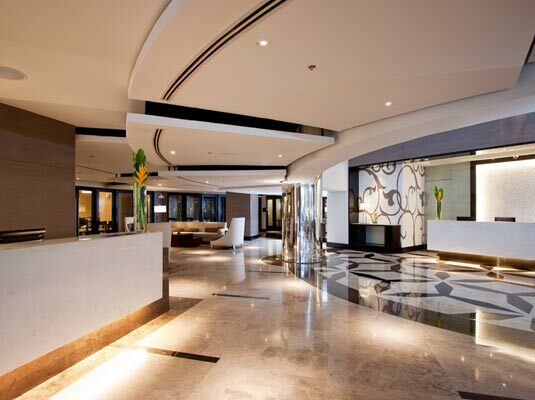 In my hotel experiences, Quest Hotel Cebu is one of the cleanest, most secured and classy hotels around. The first thing I noticed upon entrance to the Quest Hotel was how the staff greeted their guests by bowing with their right palm on their left chest. It greatly signifies hospitality, respect and welcoming which makes the customers' experience special. Their lobby is spacious, welcoming and non-intimidating. Quest Hotel Cebu's reception area was easy on the eyes as it used white, silver,grey and black as wall, furniture and decor colors. The lighting was warm which adds to the comfortable ambiance. We checked in at one of the 400+ rooms of Quest Hotel. At 25sqm their Deluxe twin room is not as huge as the Deluxe rooms in other hotels, but it is sophisticated, has a warm lighting, relaxing and comfortable. The beds could fit two (2) people each and their linens are of good quality. The room is completed with a safety deposit box, minibar, cable TV, writing desk and a universal power socket. It also has these available facilities: complimentary two (2) bottles of mineral water, laundry, tea or coffee making, telephone, and daily room service. Room slippers and laundry and dry cleaning services are also available. Their toilet and bathroom has these following supplies: hot and cold water, bath towel, hand towels, floor mat, conditioning shampoo, bath gel, vanity kit, facial tissues, toilet paper and hair dryer. 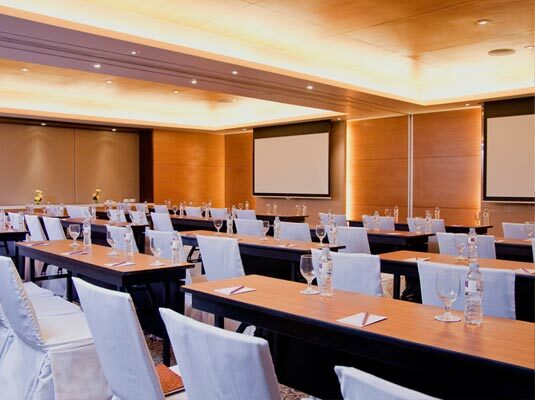 Whether you are in Cebu for business or pleasure, you'd be glad to have these amenities: 10 meeting or function rooms, business center, free and fast Wifi, reliable concierge, coffee shop, bar and lounge, and airport services. 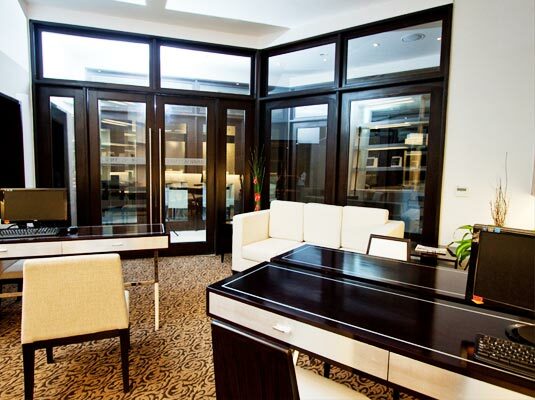 Also: swimming pool, gym, spa services and well-lighted dining area with a variety of sumptuous buffet food selection. Overall, the 3 days and 2 nights stay at Quest Hotel was great. Never was a time that we had any complaint or qualms about their service. Their complimentary in-room supplies were sufficient and maximized. Having the gym and the pool in the hotel is a great way to release stress. Unfortunately I wasn't able to swim because every night during our Cebu stay, I come back to the hotel room very late due to work. The variety of food during buffet breakfast, was just the right mix of rice and viand, bread and pastries, fruits and other desserts, and beverages. Because I tried almost all of them, I will be writing a separate post on their breakfast buffet! It was a happy tummy party for me every morning. 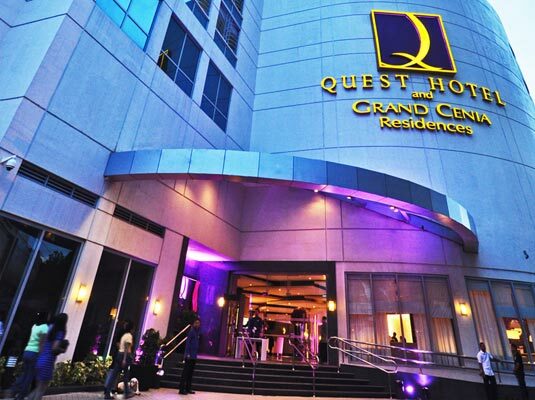 Quest Hotel Cebu is located along Archbishop Reyes Avenue, Cebu City. Quest Hotel Cebu is within walking distance from the new Cebu Business District and is located conveniently right across Ayala Center Cebu. For more information on rooms rates and facilities at Quest Hotel Cebu you may visit their website or "like" them on Facebook for updates. It must have been a great experience to you and your office mates because the pictures tell us what you've got for this hotel. You should sis! :) Very nice place and very warm people. :) Plus they've got very HONEST taxi drivers! Thought the ladies were going to sing the national anthem. It's kind of a different greeting and something that would surprise me. Overall, I think the facilities are great...very neat. I hope they maintain it like that and not deteriorate over time.